India is a market close to our hearts for reasons covered in previous blog posts. Last month, we organised another healthcare mission with potentially some more opportunities in India’s expanding market. We brought along several UK providers, including an NHS Trust, a University, Public Health England, NHS Improving Quality and a number of innovative UK private sector healthcare companies. They all came to India to meet potential customers for their expertise, services, training and technology. In Delhi, our delegation was led by the Rt Hon Professor the Lord Kakkar, our trade ambassador, as we engaged with hospitals, healthcare providers, government agencies and medical colleges. 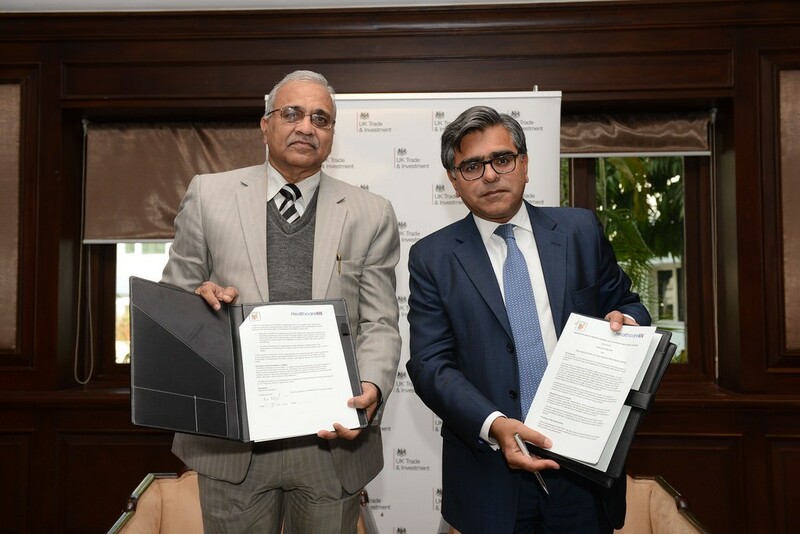 Lord Kakkar signed a MoU with the Association of Health Providers in India to cement our intention to offer their members the training expertise and services of the UK healthcare and training organisations. In Mumbai we joined with the UK Lifesciences Mission, led by Trade Ambassador, Harriet Fear which had arrived from Bangalore Bio to celebrate what is GREAT in the UK’s Health and Lifesciences community with a new set of eager customers. One of our seminars was crowned by the launch of a book, Emotions and Stress by one of our delegates, Dr Kishore Chandiramani, a psychiatrist who runs stress management programmes in the UK. And in Kolkata, we joined with Public Health colleagues at the World Congress for Public Health, which was this year staged in India. We also met with the lively Eastern Region Healthcare Group of the Confederation of Indian Industry and had excellent meetings with the Maharashtra and West Bengal state governments. As ever, lots of experience and business cards were exchanged. So who will succeed in this market? The CII group’s advice to UK companies was fairly simple. First, UK companies/organisations need to show commitment to India and to the relationship with a partner/customer. This might include committing to pilots, co-creation or research, free or at cost, bringing knowledge and investment to grow the project together, recognising there will be “delayed profit”. So it is not just about selling or franchising a service or product, but a “softer” approach. We need to evidence proof of the value and quality of our offers and show a significant return on investment for the partner. There is also a price challenge. This means that we need to think about what is right for the Indian market (often 10% of Western prices) and how to achieve it, for example by using local materials and staff. A middle person or local representative helps facilitate the relationship and it does help if there is a person of Indian origin on the UK side who is committed to the area. Some companies are interested in reciprocal opportunities from the UK (e.g. medical tourism, remote diagnostics or treatment, co-production of tenders for the UK healthcare market), using their expertise, innovation and lower costs. And finally, UKTI, UK India Business Council and CII are happy to facilitate videoconferences as well as incoming and outgoing visits and coordinate the creation of opportunities and offers. We are hopeful for our next round of successes with the Indian healthcare market. 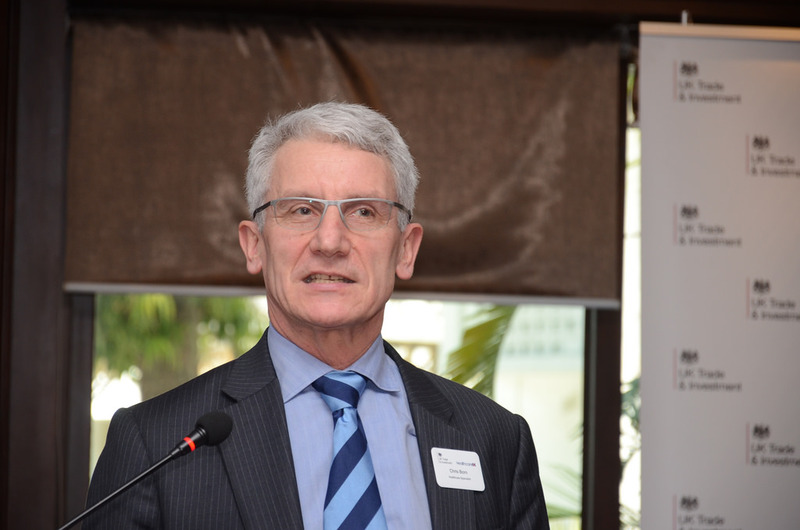 Private hospitals and healthcare are expanding fast and state governments are preparing to tender more of their services. We met several hospitals who want to offer UK inspired training to their staff, whether in emergency medicine and care, the human factors of clinical care, primary care or specialist nurse training. There was huge interest in how to improve the quality and productivity of healthcare. It is worth noting that the NHS Improving Quality’s representative is going back to Dehli in April to speak at the Consortium of Accredited Healthcare Organisations’ conference. Healthcare agencies and organisations we met this time want to benefit from UK expertise in areas as diverse as cancer screening, cloud based clinical records, remote radiology, assisted living and infection control. For those with the appetite, there is the opportunity to set up a complete hospital operation in India with Indian investors. We hope to see the first of these launched this year. The opportunities are there. Together we can turn these into excellent health services for patients in India, an exciting exchange of experience and expertise and sound commercial benefit for all concerned. We received some great feedback from delegates who told us that the events certainly generated a lot of positive buzz and there is excitement about following all this up in weeks to come.